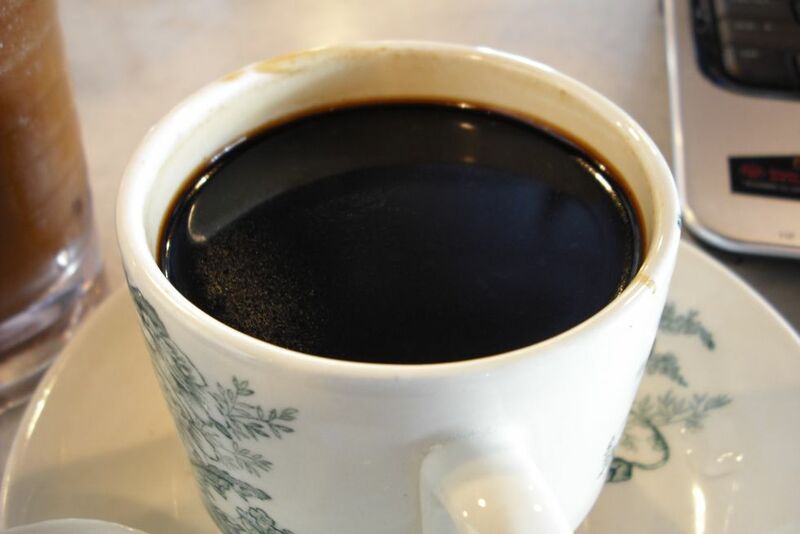 Old Town White Coffee – Kopi O… Is this coffee? I say this is one of the previous posting “But let me ask you, the next time you go to any kopitiam, order a cup of kopi-O, and try drinking that without milk or sugar. Then you tell me how nice it is”. Many times when people talk about coffee, they are not really talking about coffee. Personally, I don’t call any drinks coffee if the content has less than 10% coffee. Note: 1 shot espresso is approximately 0.8 to 1oz. Other type of coffee derive from different methods like drip and press I consider 100% coffee because they only contain coffee extracted from water. You have later add sugar or milk but the percentage will not drop below 10%. You will notice some cafe use ridiculously big mugs for your coffee drinks. They use mugs as big as 12oz to 15oz but they only put a single espresso shots. My friend, if you are drinking that, don’t call it coffee lah. The milk exceeds 90%+++, it is basically warm coffee flavoured milk. Now back to Old Town White Coffee. They have been mushrooming all over Malaysia. And certainly most of their drinks with the name coffee does indeed have more than 10% contents of coffee. This is where you can differentiate between great coffee, good coffee and crap coffee. I orders their 100% coffee, the Kopi O. When you want to understand your coffee, remember 2 important points, aroma and taste. So, I give it a few deep good sniff. Hmmm.. very strong aroma… like slightly burnt and sweet. Now why would it smells sweet? Ah.. they add some form of sugar and margerine into the roasting process. So, this is why they are call White Coffee. It is not even 100% coffee because apart from coffee that was extracted by the water, they were other “stuff” inside there. We of course do not know what is the actual ingredients. Ok, never mind… not 100% also never mind. Cappuccino is only 16% after all. Here comes the tasting. Arrrgggghh… gaggg…. poooiiii…. Wow… it tasted very much like charcoal water. You know, immerse charcoal in water, wait till it gets black.. that’s what I imagine. Totally undrinkable. Calm down.. take a deep breath… Dear stomach, please relax… cool… Don’t throw up. Phew!… This is a kind of coffee that is undrinkable without adding plenty of masking agents like condensed milk, evaporated milk and sugar. Without a doubt, this is truly coffee. Truly CRAP coffee. That is how you describe coffee that is undrinkable on its own. They should use Gardenia’s motto about their bread, “So good you can even eat it on its own”. I have tried many espresso that is bad, french-pressed coffee that is so-so… but undrinkable coffee?? Don’t believe me, go try it and let me know. Remember… decent coffee can be drank on its own. No adding sugar or milk. As for me.. I quickly drink some “white coffee ice” to wash my tongue. White coffee ice is of course mixed with plenty of milk and sugar. You can try “Kopi-O ice” if you dared. I’m just a coward. Special note: What I comment above has nothing to do with their coffee drink making skills. It has to do with the “original” products. Their beans is most certainly of low quality, they say theirs is a blend of Robusta, Arabica and Libirica beans. The roast it DARK.. to almost charcoal like… reduce the coffee to almost a carbon-like state. With such condition, you just can’t do magic. This entry was posted in Cafe, Coffee, Coffee Beans, espresso, Kopi, Malaysia, Old Town White Coffee on June 22, 2008 by KF Chan. This D’Lish in Mid-Valley really looked delicious. Located: G-001 ground floor, opposite Starbucks. One of the most difficult ingredient is definitely the sambal. To be fair, the sambal together with the sotong were well made with lots of onions and tasted fresh. But different people like different types of sambal. Some like it hotter, sweeter, thicker, lighter, redder… you just can’t please everyone. What is more interesting is the price. It cost RM 12.80. Well some may say it is expensive, but given the portion and how everything is done with care and quality, I say it is value for money. Still not happy? Well they have really delicious looking salad and sandwiches too. And the final icing on the cake… they charge 5% standard government tax and NO 10% SERVICE CHARGE. Save RM2.80 and you can more than pay for the parking. Go and check them out. P.S: I didn’t bother with the coffee though. 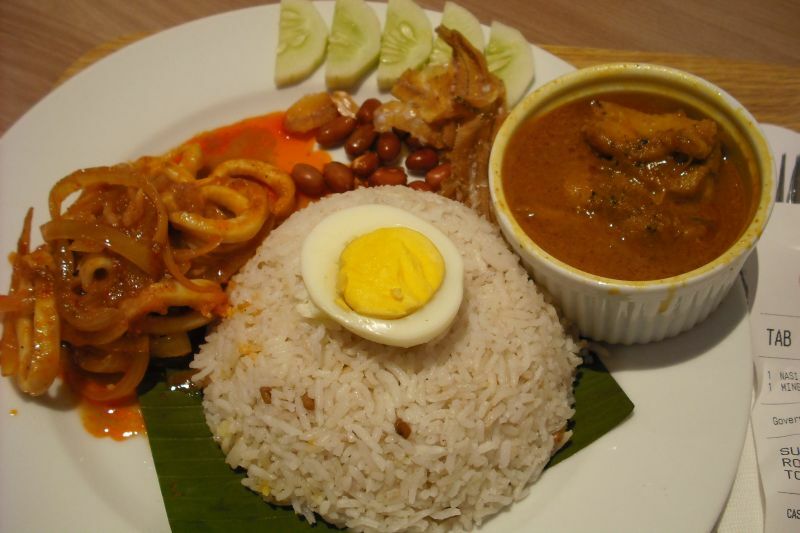 This entry was posted in Cafe, Food, Malaysia, Nasi Lemak on June 18, 2008 by KF Chan. What a tensed 3 set games. 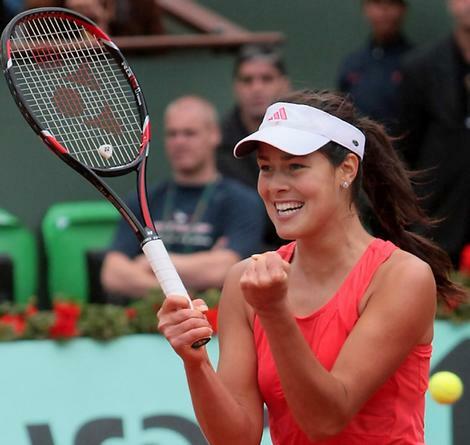 When the dust settles, it’s Ana Ivanovic to the final of French Open 2008. This Ana sure is a cute as the other Anna. But Ana plays better tennis than Anna. Ana is the NEW current Women’s Tennis WTA Ranking No. ONE. While the highest Anna ever reach is no.8. But then, apart from lack of talent, Anna spent too much time modelling, I guess. Anna Kournikova even find time to pose during a game. Must have my best coffee ready before the best match this saturday. This entry was posted in Ana Invanovic, French Open, Tennis on June 6, 2008 by KF Chan.